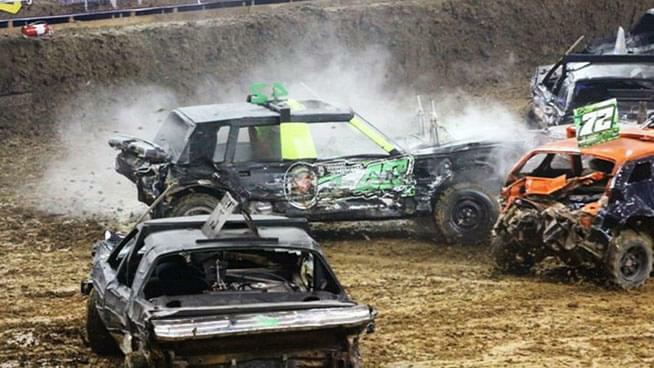 Blizzard Bash Demo Derby is coming to the Kansas Expocentre! One of the only indoor, team-style demo derbies in the country hits the Expo in November. Blizzard Bash features the best drivers and car builders in the country, competing in an arena-based team event. Each event has teams compete in a single elimination. Then, in a bracket-style competition, drivers advance until there is one last team standing. The champions. Check out the video below to get an idea of what you’re in for and a behind the scenes look at what some of the drivers go through to get themselves ready to crush the other trucks. In addition to the team show, the event features a variety of other demolition derby classes including compact cars, pro-mods, pre-1980’s old iron, and more. After the success of last year, they will also be bringing back youth class (teens), powder puff (women only), and Power Wheels (kids 5yrs -11yrs). So buckle up because this is going to be one incredible ride. Tickets are available on HERE and the box office. They start as low as $5 for this show which runs November 8th-11th. If you can’t make it out, catch it on DerbyNation.tv! Options starting at only $15!